After last weeks struggles to remove some un-used extensions, i somehow forgot to turn back on the caches in magento 2. This give a long (6sec or more) page load time, and a high CPU load on the server. 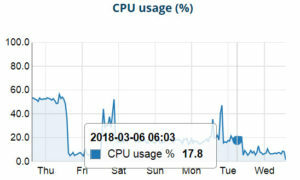 Mind you, this was on a light used site, i can’t imagine what happens on a 100+ visitors a day site! 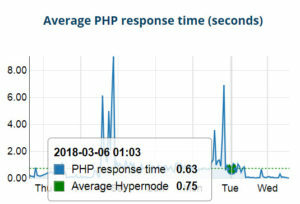 You see a clear drop in magento’s 2 page load times and CPU usages after Tuesday! Note to self: check if you turned the caches back on!